Another great loop starting in Corvara. 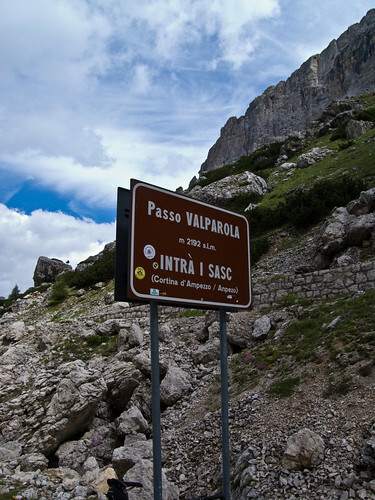 This is basically the second half of the medium (106 km) course in the Maratona dles Dolomites – so it climbs Passo Falzarego (and 1.3 kms further Passo Valparola) from a different side than the full 138 kms Maratona course. The weather forecast was questionable, but being my last day here, I decided to bring a bunch of jackets and take my chances – and only experienced a few brief drops. The loop starts by climbing Passo Campolongo (my 4th time this week). Then a fast stretch before turning onto the climb just past Andraz. 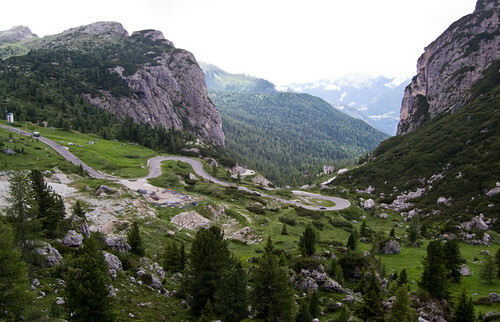 This is not the hardest climb – I don’t have profile details but would guess it was a steady 6-7% through and up a beautiful valley on a quiet road – certainly quieter than the Cortina side. 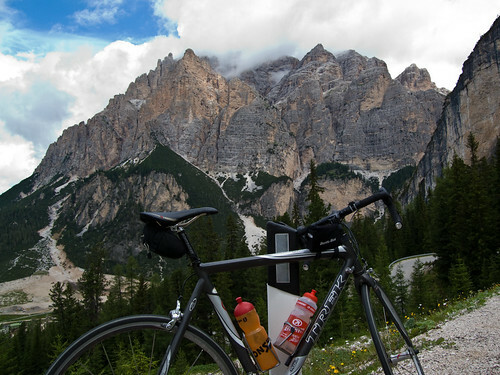 After Falzarego, it’s just a short ride – between stunning high peaks – to Passo Valporola. From here, it’s pretty much smooth sailing back to Corvara via La Villa. A beautiful little circuit.